Every time my neighbour visits the family farm, she always comes back with a big, fresh bag of goodies for me. This time I was lucky enough to score a big bag of juicy limes. I did consider upcycling them into one of my favourite bakes like this Coconut Lime Slice or this Zucchini Lime and Pepita Loaf but then I remembered what happened at last week’s weigh in and thought I had better make salad instead. This planets aligned as I had a bag of limes, a recipe that was in need of a makeover and a dear friend coming for dinner. As it was, Lisa and I had planned on going for dumplings but we were both a bit pooped and a night on the sofa in our PJs and with a few episodes of Lovesick seemed much more appealing! I didn’t want to do away with the dumplings altogether – at least, I stuck with the Asian flavours. On the plus side, this salad is quicker than making dumplings and way, way healthier than eating them too! As it happens, this salad is ridiculously quick and easy, uber healthy and a festival of flavour. 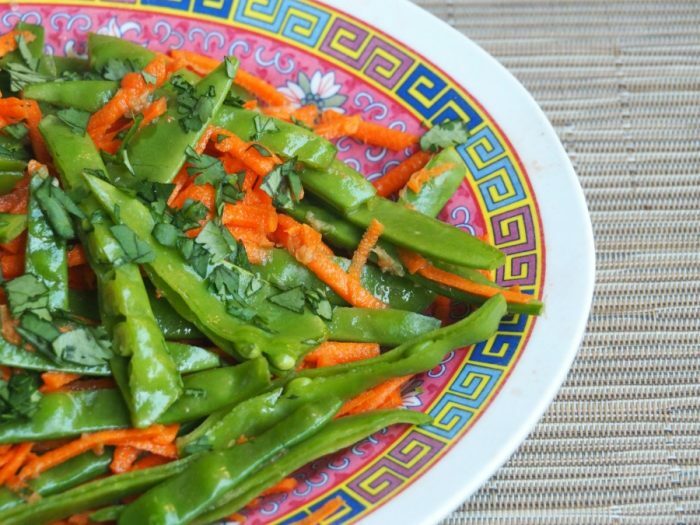 The hoisin sauce gives it some sweet, the ginger gives it some heat and the lime brings some value added zing to the party. It’s fast, it’s fresh and it’s oh, so flavoursome. 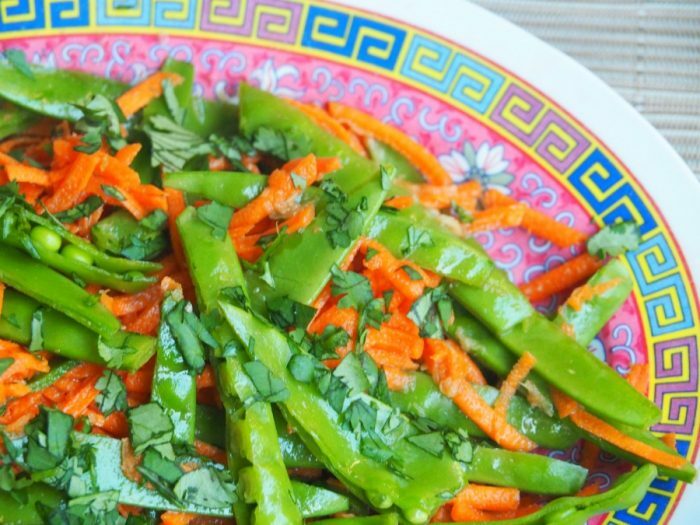 It’s super versatile and would go great with grilled pork, chicken or fish. Whisk hoisin sauce, lime juice, water and ginger in a small bowl. 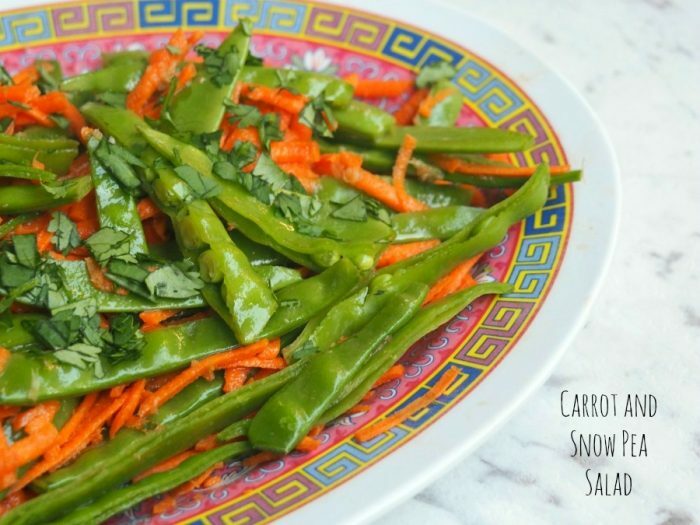 Combine snow peas, carrots and coriander in serving bowl. Add dressing and season. Stir to combine and serve.